Specialist presentation and public speaking training provider Time to Market has announced the availability of its new centre in the Team Valley for presentation training in Gateshead. The training site is easily accessed from Newcastle city centre, which is just under four miles away. 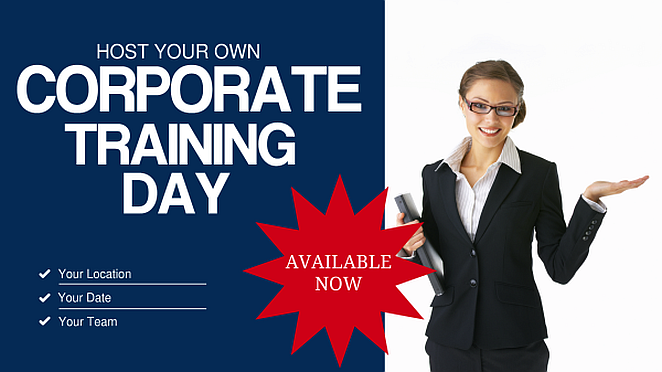 “This presentation skills training site is perfect for our Newcastle-based customers. It is a delightful location that provides a professional boost to skills development programmes such as the PresentPerfectTM course. It’s a real bonus to use this centre in Gateshead”, commented Andrew Ivey the Principal Trainer at Time to Market. You can train to be a confident presenter with presentation training in Gateshead. And because we offer a range of presentation courses, there’s always something available for all abilities. You can train to be a confident presenter in Gateshead. So you won’t need to travel far. Presentation training in Gateshead includes full refreshments and lunch during the day’s session, expert help and advice and all the training materials you need. 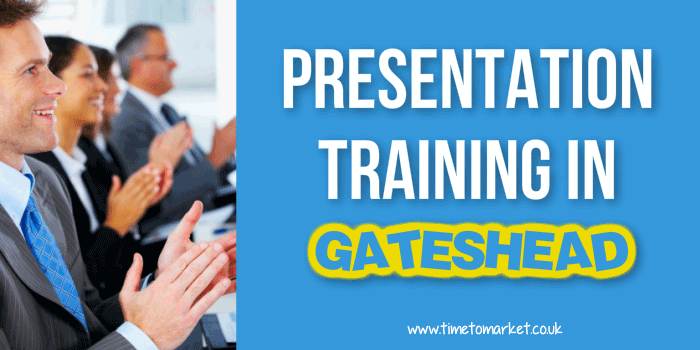 To find out how you can become a confident presenter and improve your presentation skills in Gateshead, please don’t hesitate to call or email training@timetomarket.co.uk. Based in Oxford and active since 2001, Time to Market is expert in providing presentation techniques and training. We run off-site seminars and presentation courses throughout the United Kingdom. Plus, we provide presentation tips and techniques with our regular series of newsletter tips. Sometimes it’s filled with wisdom.